Cotton Crochet Hat (12-18 months), handmade >free shipping! 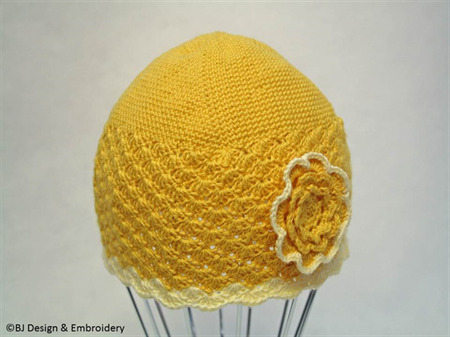 This hand crocheted hat is made of 100% cotton. The crocheted flower has a button sewn on in the middle.